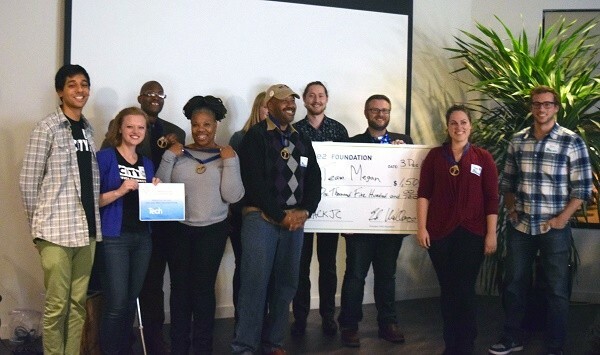 Some 14 teams competed for a $1,500 prize at the Jersey City Office of Innovation’s Sustainability Hackathon, which took place on December 3 at the new coworking venue Andco, in Jersey City. More than 100 people participated in the day-long hackathon, including those who volunteered, judged or observed the event. NJTechWeekly.com stopped by the hackathon in the early evening and spoke to some of the participants. They gave high marks to the event venue. Indeed, the space at Andco is large, modern and sleek, with plenty of quirky conference areas and nooks and crannies where the teams were able meet and work together. The participants we spoke to also thought the hackathon was a lot of fun with a purpose, and they were enjoying it. 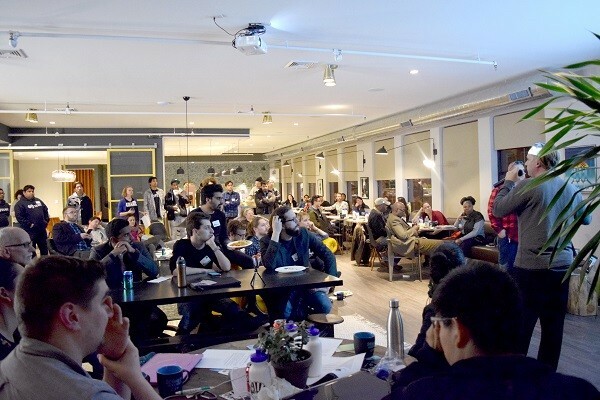 Many of the attendees had heard about the hackathon through friends, and were motivated to do something to make Jersey City a better place, which was the theme of the event. 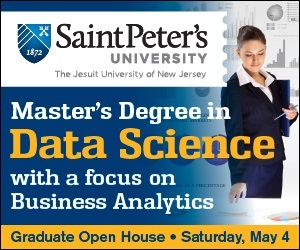 The organizers posed the question, “How we can make Jersey City a more sustainable place to work, play and live through the use of data and technology?” The event was open to anyone interested in community-minded work and in collaborating for the public good. 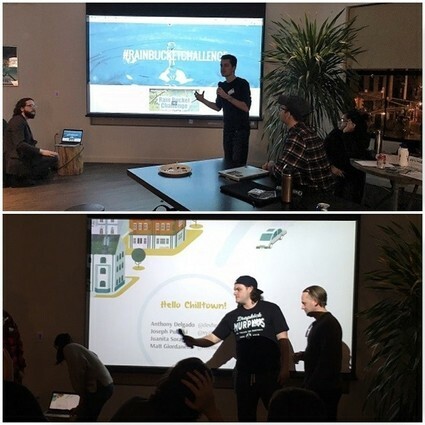 The challenge was to create something innovative to encourage sustainability in Jersey City by using Jersey City’s Open Data Portal, information from city agencies, and the events of the day. For the participants, the day started off with a visit from Jersey City Mayor Steven M. Fulop, followed by overview of the past, present and future sustainability initiatives in Jersey City, given by Kate Lawrence, senior planner for the City of Jersey City. 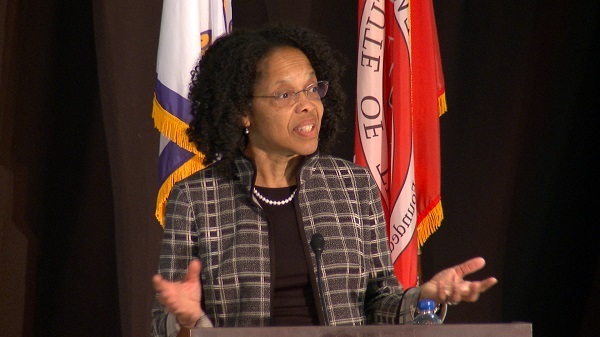 She announced that 2017 is “The Year of Water” in Jersey City and said that the city’s sustainability goals will be framed around that concept. Participants then heard a panel of experts on Jersey City, including Tanya Marione-Stanton, senior planner; Brian Platt, director of the Jersey City Office of Innovation; and Aaron Johnson, assistant landscape architect. Another product demo came from SeeClickFix (New Haven, Conn.) founder and CEO Ben Berkowitz. 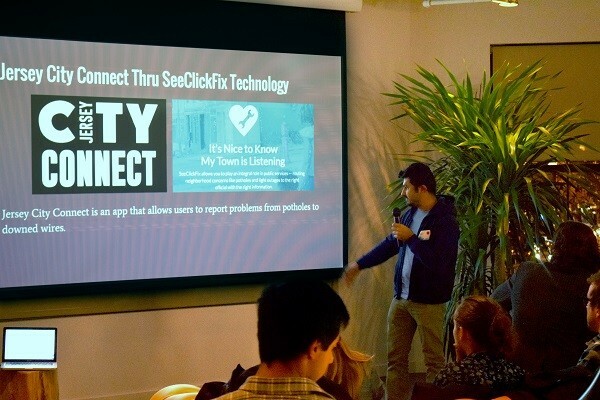 SeeClickFix is an app that encourages residents to become active in taking care of and improving their city by reporting nonemergency issues in their neighborhoods. Sunny Kulkarni, Gioia Kennedy, Felix Zamora and Nancy Malhotra demoedOpenTreeMap, a collaborative project in partnership with Sustainable Jersey City that engages in crowdsourced tree inventories, ecosystem services calculations, urban forestry analysis and community engagement. Ashwani Vasishth, from Sustainable Jersey City, also spoke. After lunch, the participants heard from Ed Hackney, director of technical revenue management at SUEZ (Paramus), a global leader in resource management. Moriah Kinberg, community outreach coordinator at New Jersey Future (Trenton), spoke next; with Randall Solomon, codirector of Sustainable Jersey (Ewing) following. 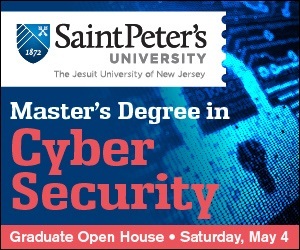 NJTechWeekly.com heard some of the pitches at the Hackathon that Saturday. Many of the presenters had ideas about how to handle flooding in Jersey City, which has been made worse by concrete yards and driveways. Others were interested in residents having skin in the game to protect Jersey City’s trees. One participant even advocated turning lawns into edible community gardens to feed the population and protect the area from flooding. Megan Swanby, VP Taylor and Donalda James won first place. They had developed a sustainability calculator with quick access to updated, accurate information and resources that provide tools for building sustainable, healthy and safe housing. This app would allow homeowners to connect with real estate agents, banks and community housing organizations. They won the prize of $1,500 dollars, sponsored by SUEZ. Second place went to Ashley Pagliaro, Stephanie Sumulong, Samantha Sumulong and Kenny Zheng for “Flood Radar,” a responsive Web application for crowdsourcing information from residents of Jersey City reporting flooding in their areas. It allows users to locate flood zones and gauge the potential for reduced flooding by means of green infrastructure. In addition, the app will be able to take action by connecting with advocates such as urban farmers, landscapers, planners and other Jersey City officials. They won a month free at Andcowork. The third place winners were Bilal Tahir, Jordan De Liso, Jason Biegel and Vasily Romanov, who created an add-on to the Jersey City Connect app: The app currently uses SeeClickFix to identify and report problems throughout the city. However, this add-on offers a more interactive emergency-response system, with enhanced data visualization, improved interaction and emergency notifications, and expanded functionality to more directly inform users of any local issues affecting them. They won a subscription to the New Jersey Tech Council’s Tech News. Honorable mention went to Anhmike “Mike” Phamfor “Tree Huggie,” an alternative app to OpenTreeMap. It features a marketing campaign that allows users to name trees, snap selfies and “own” different trees in the city. He also won a subscription to Tech News. The judges were Brian Platt, Aaron Johnson and Kate Lawrence.